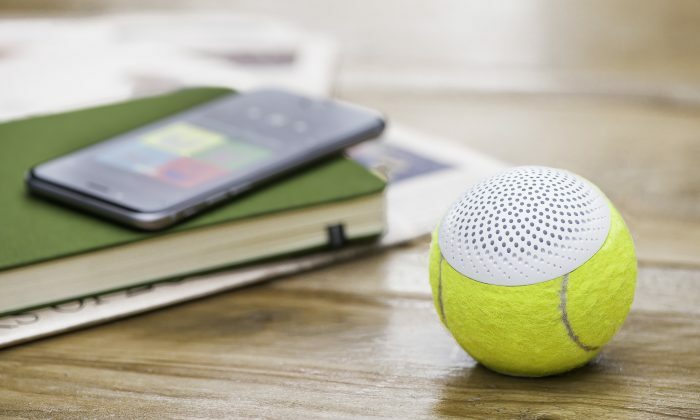 In another life, these tennis balls made history at grand slam tournaments; they are now repurposed into stylish bluetooth speakers. Federer and Djokovic signed the first two prototypes of the hearO speaker designed by Rogue Projects. The signature series available from hearO’s kickstarter campaign included championship tennis balls signed by Andy Murray, Pat Cash, Michael Chang, Lleyton Hewitt, and Ivan Llendl. The reclaimed speakers were thought up by Richard Moss in a project he has spent three years developing. The product pairs his passion for tennis (he was close to playing professionally) with his passion for innovative design. Over 230,000 tennis balls are used during all four grand slam tournaments; in Wimbledon, 55,000 balls are used each year. The record number of balls used in a single Wimbledon match is 124. The hearO speaker combines design and functionality with sustainability as these once forgotten items are given another life. hearO’s kickstarter campaign is to fund the first production run, using reclaimed tennis balls from Wimbledon 2016. It ends on July 28, with the speakers expecting to ship in November if the target is reached. The speakers are controlled by one button at the base, and the sound is optimised by a grill pattern in a Fibonacci spiral sequence. The set comes with a speaker, charging cable, usb cable, and re-usable tin. You can get one by pledging £50 to the kickstarter campaign. In addition to the classic neon-green tennis ball hue, there is the option to customise the colour of the ball, with choices including lime green, red brick, choc brown, and dark brown. The colour is applied prior to production using organic fabric dyes. This first round of speakers will be assembled in Rogue Projects’ London studio.